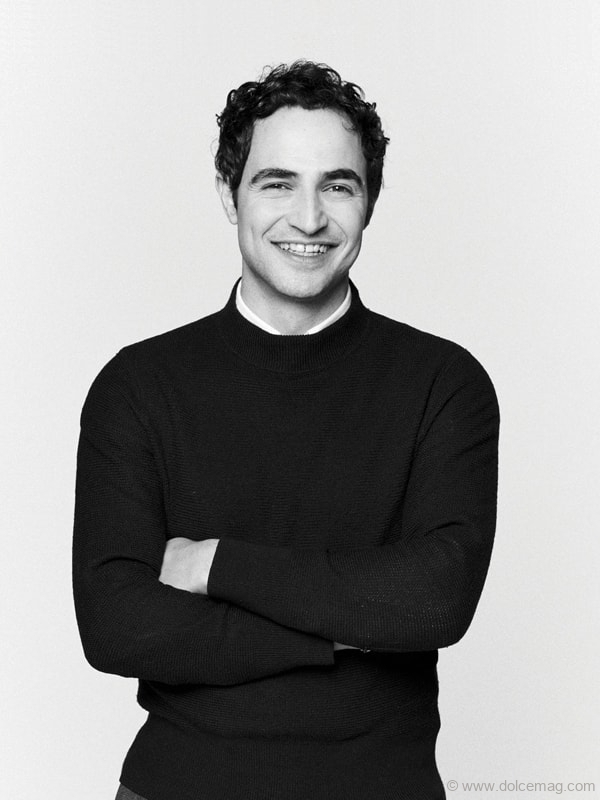 Fashion industry mogul Zac Posen has brought his designs to the next level through a collaboration with luxury appliance brand Monogram. 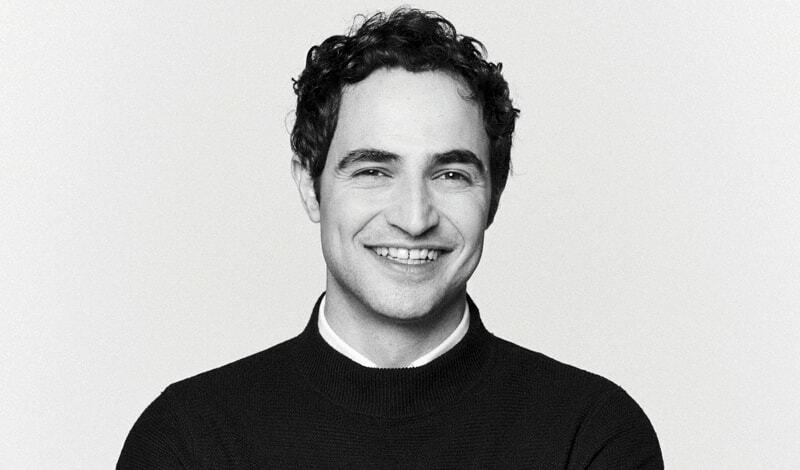 If you’ve ever watched an entertainment awards show, the name Zac Posen should sound familiar to you. His clothing designs have been worn by some of the biggest names in Hollywood, including Gwyneth Paltrow, Oprah Winfrey and Reese Witherspoon, to name a few. What’s more, his studio, House of Z, produces countless collections each year for those of us who don’t have occasion to wear formal gowns in our daily lives. But now Posen has stepped away from fashion briefly to announce a new collaboration between himself and the luxury appliance brand Monogram. This collaboration may seem a bit unusual for a high-fashion clothing designer such as Posen, but if you know about his culinary prowess, it’s clearly an impeccable pairing. It was because of his wealth of experience in the kitchen, paired with his fashion prowess, that Monogram sought him out to create a new panel for the Monogram column refrigerator. Posen recalls that they requested something out of the box, something signature to Posen that he would be inclined to use in his own home. When it came to the design process, Posen had to slightly alter his practice. Typically, when using fabrics, he brings them to the body and starts draping, but “in this case, I made a foam-core panel of the fridge dimensions and took fabric to it and built the form, and then it became a process of technique, of how to achieve this look. It was quite challenging for the technicians, because this had never really been done before,” he says. 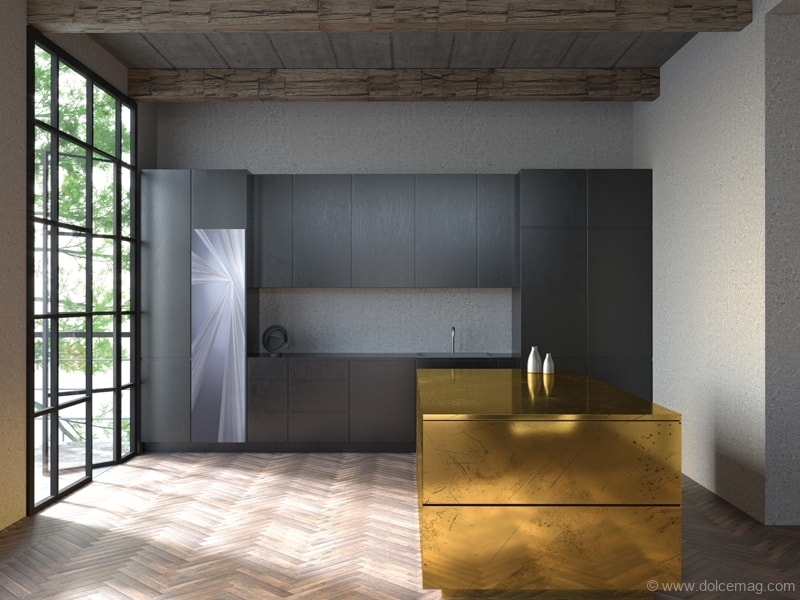 The final design, which had its Canadian debut at the 2019 Interior Design Show in Toronto, was inspired by draped tulle and was achieved by etching the mirrored surface. “Initially, my samples were very dimensional and had a lot of depth, but it wasn’t refi ned enough. So we ended up with this micro-etching that created a flush surface that got different levels of dimension, frosting and etching, and I thought that nuance was a very luxury technique that I’ve never seen on a fridge panel,” he says. When forging collaborations like the one with Monogram, Posen says that he has to feel a connection to the company itself, the people he is working with and the product he is designing. Faced with countless offers each year, he undertakes only a select number of partnerships, as he also manages his own clothing line and his contemporary price point collection and oversees Brooks Brothers Women as creative director, designing and releasing a grand total of about 15 collections per year. It would be natural to assume that designing so many collections would be daunting, even creatively exhausting. Not so for Posen: “I don’t worry about being new because I’m continuously creating, and I think that building the idea of a luxury brand or a heritage brand takes a lifetime,” he says. Since he first started in fashion, Posen has created an all-star team in his atelier, including some of the finest craftspeople in the industry, who make it their mission to see his visions through in creating quality designs and clothing that leave women feeling glamorous and empowered. Outside of work, thankfully, Posen is able to take some time for himself. Whether it’s for gardening, cooking, watching movies, listening to music, reading, hanging out with his four dogs or attending the theatre, he makes sure to take some time for himself. Posen is constantly re-evaluating his balance between work and play, although he always has design on his mind. “At the end of the day, I love my life and journey, and I feel incredibly fortunate to be in the position that I’m in. I’ve worked very hard for it,” he says.